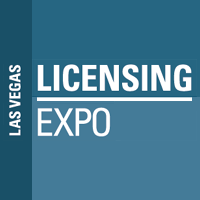 Licensing Expo expects approxiamtely 482 exhibitors representing more than 5,000 brands gathered in Las Vegas to showcase the newest and hottest properties available for license. More than 15,000 decision making retailers, licensees, manufacturers and marketing professionals across all consumer product categories attended in search of new licensing partnerships. 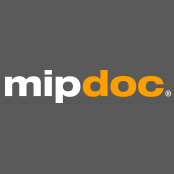 MIPTV is an annual entertainment industry event in Cannes acting as a marketplace for the production and distribution of media content and provides a platform for the TV, film and media industry to network and explore global trends. MIPTV 2020 will include industry leaders providing key note speeches and conferences, sharing their expertise, predictions and insight into the current and future direction and expectations for the entertainment industry. 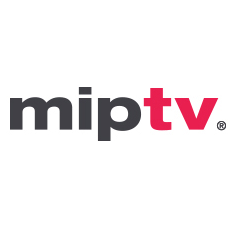 MIPTV is the must visit event if seeking new opportunities for your film, TV and digital media content, forming international partnerships and selling your wares. Music and digital trends industry conference with international distributors and publishers in attendance. 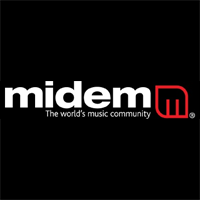 Potential for music placement in TV, ads and video games and partnerships with CMOs. An opportunity to showcase innovations, services and solutions to potential investors for funding as well as managers, agents, labels, brands and technicians. 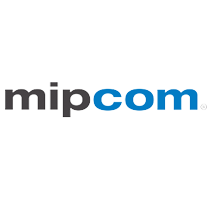 MIPCOM is an annual event for the TV industry representatives, studios and broadcasters buying, selling and financing programmes, film and digital media in an international marketplace. MIPCOM features keynote speakers discussing developments and trends within the industry, as well as premiering new shows and material from around the globe. MIPCOM attracts world market leaders and decision makers from relevant industries looking to network, partnerships and remain competitive in the entertainment market. 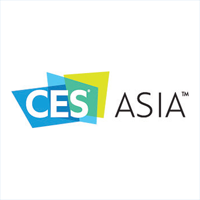 CES Asia serves as the premier event for the consumer technology industry, showcasing the full breadth and depth of innovation in the Asian marketplace. Located in Shanghai, China, key global businesses are participating in this inaugural event to grow and reinforce their brands by showcasing the latest products and technologies to consumer technology industry executives, international buyers, media and a limited number of consumers from China. 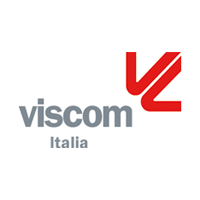 Viscom Italia 2019 is a business driver to meet the needs of companies mainly oriented towards domestic and international markets. A live laboratory aimed at bringing out the creativity, promoting technical skills, cultivating relationships with key business decision makers and creating new partnerships. An exhibition forum for exchange and professional development that links opportunities for training and group events to set the future trends affecting the visual communication industry. InfoComm features technology and the 10,000+ products on display, as well as vertical markets that draw experts and end users to InfoComm, such as hospitality, colleges and universities and corporate technology, there’s no shortage of stories, trends and insights. Access to International Trade Specialists from the U.S. Department of Commerce who provide matchmaking assistance and export trade counselling to international attendees and exhibitors. List of exhibitors who export or indicate an interest in exporting to the group's country and/or region of the world. Access to the International Commerce Centre (ICC), available exclusively for international attendees and exhibitors. Amenities include complimentary Internet stations, refreshments, access to translators and private meeting rooms. 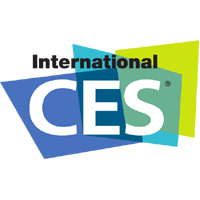 Invitation to the CES 2020 Global Matchmaking and International Reception where you can enjoy complimentary food and beverages while networking with other international attendees. LuxLive 2019 brings together all of the latest innovations in the world of lighting. Combining the perfect blend of cutting-edge lighting tech with reveal-all project case studies. Meet with the world’s biggest lighting brands, hear from experts in hours of free talks and debates,and be inspired by the latest tech. The International Jewellery Show is where the entire jewellery industry network together, 10,200 trade personnel, from UK and overseas buyers, UK and International press, all the UK industry bodies and associations represented and 550+ jewellery focused suppliers. 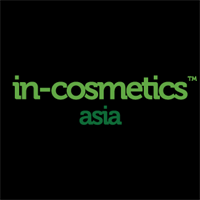 In-cosmetics Asia 2019 is the leading exhibition and conference in Asia where 400+ global personal care ingredient suppliers exhibit their innovative products to cosmetic manufacturers from across Asia and the rest of the world. 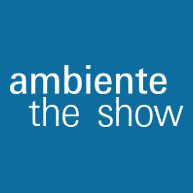 Ambiente is the meeting place for the international market. Around 144,000 trade visitors from 161 countries, including numerous top decision makers, come to Ambiente each year to order their product assortment at the fair. Over 4,700 exhibitors from 89 countries benefit from the optimal hall organisation of the Dining, Giving and Living areas as well as a wealth of synergy effects. 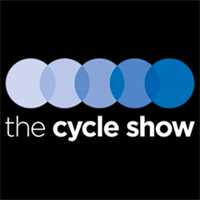 Cycle Show features over 260 bike companies with the biggest line-up of cycling brands anywhere in the UK. Freshly signed up are Canyon, Schwalbe, PlanetX, Ison Distribution and Hotlines UK (with Lapierre and NukeProof) who join the likes of Trek, Bianchi, Windwave, Boardman, Fli, Fisher Outdoor, Madison, i-Ride, Chicken CycleKit, Upgrade, Silverfish, Moore Large, Extra UK, Condor, Raleigh and many more. 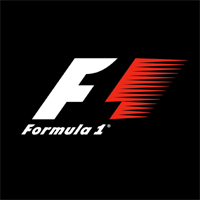 Monaco Grand Prix - must see Formula 1 event. Boot Dusseldorf international boat show is the world’s biggest boat and water sports trade fair. 250,000 boating and water sports enthusiasts from around 60 countries travel to Düsseldorf to view the boat premieres, new water sports gear, equipment and maritime services from 1,741 exhibitors from 57 countries spread over 17 exhibition halls. The PGA Merchandise Show plays host to the biggest week of golf business with 1,100+ interactive exhibits by leading golf companies and brands, more than 41,000 of the most important people in golf and representation from all 50 U.S. states and 74 countries. The Chicago Boat Show 2020 features hundreds of current model year boats to see and explore, inside and out. You will also find the latest in boating products, fishing gear, accessories for boaters and marine electronics. You will find virtually everything you require for your activities outdoors. This year the Strictly Sail Chicago and the Chicago Boat, Sports & RV Show have joined forces to bring you the best in boating, RVing and sailing all under one roof at the McCormick Place in the North Building. 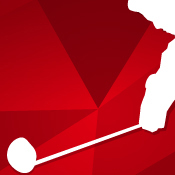 Held annually in Beijing, the China Golf Show/PGA Merchandise Show has steadily grown into the Chinese golf industry's leading trading and sourcing event. It showcased over 480 brands and welcomed over 18,000 visitors in 2018 and received official support from the PGA of America, GCSAA and CMAA China Chapter. Onsite activities and areas for golf course executives, industry professionals and golf enthusiasts include an indoor equipment testing center, fashion show, new product center and innovation area. 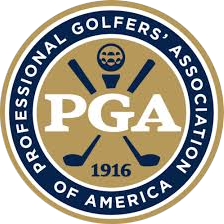 The show will feature educational seminars led by the PGA World Alliance, GCSAA and CMAA China, delivering the expertise of the game's leading associations. 1,663 exhibitors present their products and services for property professionals and investors on 64,000 square meters of exhibition space. The participants in EXPO REAL 2018 cover the entire value-added chain in the sector. MIPIM Cannes is an annual property event attracting thousands of people including architects, property investors and developers, plus multitudes of property professionals from many industries and countries worldwide. MIPIM provides the opportunity to network with investors, real estate and property professionals. Presentations from keynote speakers focus on current property trends, where to invest and how to develop, as well as recent research findings. The 2020 event will be very special as MIPIM celebrate its 30th birthday. Given the sheer number of attendees last year was 26,000 early travel planning is recommended. Beneath the swaying palms of Cannes in the south of France, demand for accommodation will be intense with so many attendees from more than 100 countries. Accordingly we are expecting high demand for our event travel services so contact us soon before our best deals on flights and accommodation are taken. Over four days, MIPIM 2020 will include property events, exhibitions and conferences presented by industry leaders. And there are always special guests - last year's MIPIM saw former president of Poland Lech Walesa in attendance alongside building scaling 'French spiderman' Alain Robert. Long famed as the go to destination for sunshine and glamour as the home of the Cannes film festival, we can take care of your event travel needs for the 30th edition of MIPIM in the French Riviera. 10th-13th March at the Palais de Festivals, Cannes. 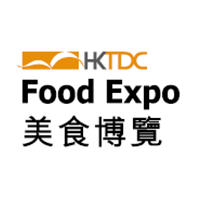 Food Expo that takes place annually at the Hong Kong Convention and Exhibition Center, brings together gourmets from all over the world. 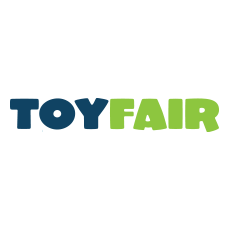 It is aimed both at retailers, manufacturers and suppliers as well as the general public and is divided into two areas: the Trade Hall and the Public Hall. A comprehensive entertainment program with cooking shows of prominent chefs, tastings, award shows, etc. completes the culinary experience. The Food Expo is held in conjunction with Hong Kong International Tea Fair, International Conference & Exhibition of the Modernization of Chinese Medicine & Health Products and HKTDC Hong Kong Lifestyle Showcase. Caffe Culture 2019 - Whether you are looking to take advantage of the ever-growing café boom by opening a new operation, are already a successful business looking for new ideas or looking to add a quality coffee offering to your pub, hotel or restaurant, this is the event for you. 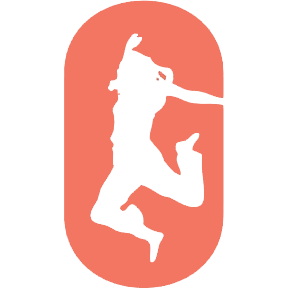 MOVE IT is the UK's biggest dance event taking place annually in London.